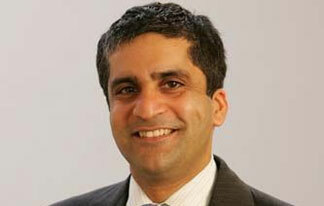 Washington, Jan 23 (IANS) A distinguished Indian-American scholar and teacher, Rakesh Khurana, the Marvin Bower Professor of Leadership Development at Harvard Business School (HBS), has been named dean of Harvard College, a prestigious Ivy League institution. Announcing the appointment in an email to the FAS community, FAS Dean Michael D. Smith praised Khurana as a scholar and teacher with deep experience working with undergraduates and a strong commitment to the College. “Rakesh is a distinguished scholar of organizational behaviour and leadership, an award-winning teacher, and a dynamic House master who has also deeply engaged with undergraduate issues on important committees,” wrote Smith. Khurana succeeds Evelynn M. Hammonds, the Barbara Gutmann Rosenkrantz Professor of the History of Science and professor of African and African American Studies, who stepped down last June after completing her five-year term. Donald Pfister, the Asa Gray Professor of Systematic Botany, will continue to serve as interim dean until July 1, when Khurana assumes the role. He and his wife, Stephanie, will remain masters of Cabot House. The Khuranas have three children. “I’m honoured to have this opportunity to serve the College and work with the faculty, students, and staff to create a transformative educational experience for our students,” said Khurana. “Rakesh Khurana is a faculty leader who embodies the interconnectedness of Harvard,” said Harvard President Drew Faust. “Rakesh’s selection is a testament first and foremost to his skill and vision as a teacher and scholar, and a demonstration, too, of the ways Drew Faust’s vision for one university can create exciting new opportunities,” said Nitin Nohria, dean of Harvard Business School. Khurana earned his BS from Cornell University. He began graduate studies at Harvard in 1993, earning his Ph.D. in 1998. He was appointed to the HBS faculty in 2000 and became co-master of Cabot in 2010. He taught at Massachusetts Institute of Technology between 1998 and 2000. Prior to graduate school, he worked as a founding member of Cambridge Technology Partners.